The immigration courts now have more than 800,000 pending cases; each one takes an average of 700 days to process. And because laws and court rulings aimed at protecting children prohibit jailing young people for more than 20 days, families are often simply released. They are dropped off at downtown bus stations in places like Brownsville, Tex., where dozens last week sat on gray metal benches, most without money or even laces on their shoes, heading for destinations across the United States. 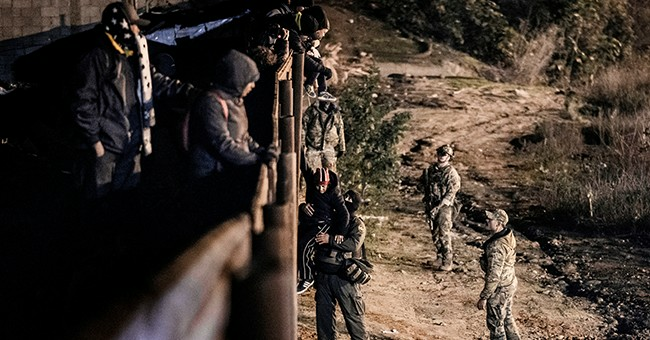 At the current pace of nearly 100,000 migrants each month, officials say more than a million people will have tried to cross the border in a 12-month period. Canadian officials are warning that even liberal Canada has its limits amid concerns, fairly or not, that illegal migration is stretching the immigration system to a breaking point and risks stoking a potential backlash... Canada’s minister of immigration, Ahmed Hussen, himself a former refugee who moved to the country from Somalia when he was 16, said Canada was proud to be a welcoming country but could not welcome everyone. Only about 8 percent of Haitian migrants had received asylum here since the summer, he said, while there is a backlog of about 40,700 cases, according to Canada’s Immigration and Refugee Board. “We don’t want people to illegally enter our border, and doing so is not a free ticket to Canada,” Mr. Hussen said in an interview. “We are saying, ‘You will be apprehended, screened, detained, fingerprinted, and if you can’t establish a genuine claim, you will be denied refugee protection and removed.’ ” Canadian immigration officials are once again bracing for a possible influx of migrants heading north.